The Virginia Forage and Grassland Council is currently working with John Fant who co-owns and operates Summerfield farm in Independence, Virginia. Summer Field farm is a grass-fed and grass-finished beef cattle operation. John, a veteran of the United States Army, has been farming full time since 2013, but Summerfield farm has been in John’s family since the 1970’s. Continuous grazing has been the norm on the farm, but John recognizes the importance of soil health and rotational grazing so he began working with the VFGC and Natural Resource Conservation Service. Which is why he recently began a rotational grazing program. John has already begun to see benefits from its implementation, including reduced stress on the cattle and increased grazing efficiency. As for future benefits from changes in farm management, John hopes to be able to reduce his winter hay use by extending the grazing season through rotational grazing. As part of this project Katelyn Cox, a student from the crop soil and environmental science program at Virginia tech will be working on the farm with John as a VFGC Grazing Demo Technician to conduct soil tests, pasture evaluations, and various other responsibilities in order to better help the VFGC document and share how the implementation of rotational grazing impacts soil health, plant productivity and system performance. 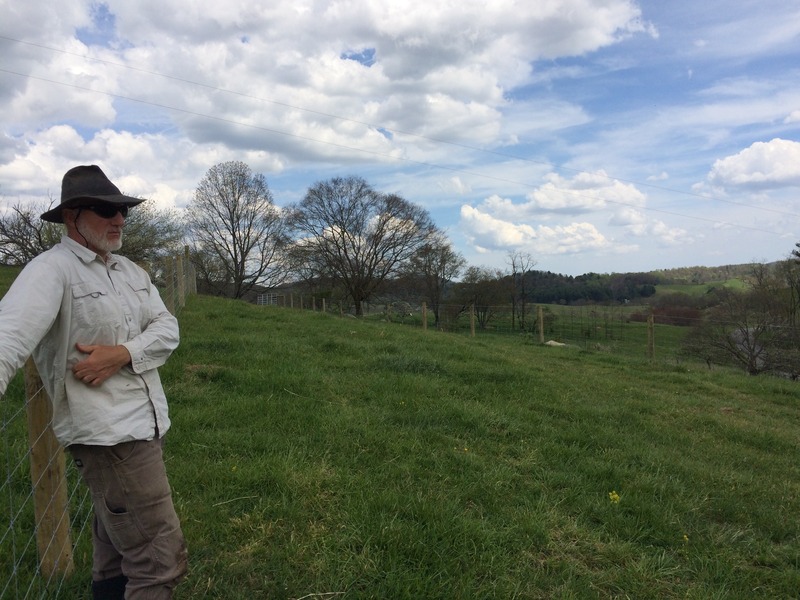 As part of the ongoing project at John Fant’s Summerfield Farm in Grayson County, the Virginia Forage and Grassland Council recently conducted a series of soil tests on twelve of the farm’s paddocks. Two of these tests, which were conducted by Ward Laboratories in Nebraska were done in order to help us evaluate and better understand the populations of micro-organisms living in the soil on Mr. Fant’s property. These soil organisms include a wide variety of life such as bacteria, fungi, and invertebrates like earth worms and nematodes. All of these organisms work together in the soil to carry out important process such as the breakdown of organic matter, nutrient mineralization, and building of soil structure, all of which can impact yield. The first test, known as the PLFA test is used to evaluate the composition of phospholipid fatty acids in the soil. These phospholipid fatty acids come from the cells of living organisms and can be used to test for their presence. Many of these organisms such as rhizobia and mycorrhizal fungi species can be beneficial to plant health. The other test conducted by Ward Laboratories was the Solvita CO2 Burst test. 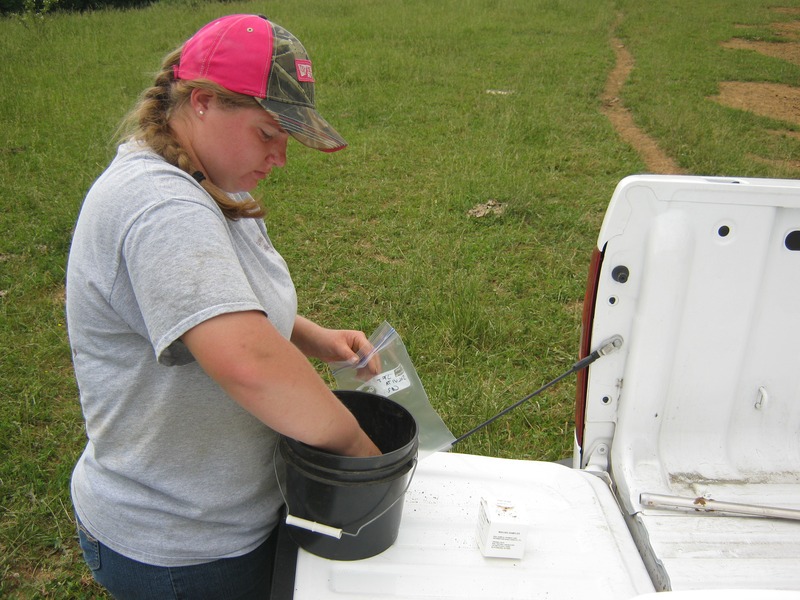 This test is used to evaluate carbon dioxide respiration of organisms in the soil. The information obtained from this test can be used to estimate the amount of nitrogen and phosphorus that organisms are mineralizing in the soil, as well as estimating the biomass of soil organisms (Sourced from www.wardlab.com). Two more tests were conducted by the soil laboratory at Virginia tech. The first test was used to measure the pH of the soil and the amounts of a variety of nutrients including phosphorus, potassium, calcium, magnesium, and manganese. This information can be used to provide Mr. Fant with recommendations on the amount of fertilizer and lime he will need to apply to his paddocks in order to maintain optimal yields. The second test was conducted in order to estimate the amounts of organic matter in the soil which will further help us to understand the dynamics of the soil organism populations. 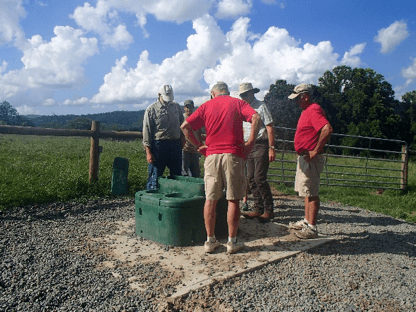 In order to evaluate how nutrient levels and populations of organisms change over time and are possibly affected by the implementation of a prescribed grazing system, the Virginia Forage and Grassland Council plans to test again next year. By Katelyn Cox, VFGC Grazing Demo Technician. 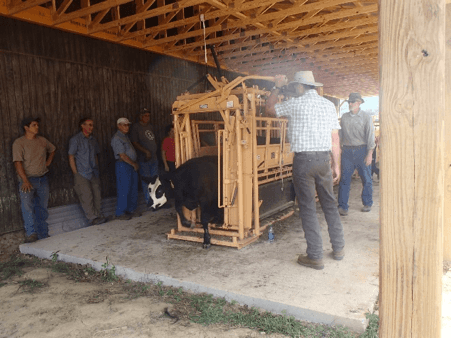 As part of the project at Summerfield Farms the Virginia Forage and Grasslands Council worked with the Grayson County Cooperative Extension Service and the Virginia Farm Credit to host a field day and Beef Quality Assurance (BQA) certification on July 19th. As part of the program John and a representative from the Extension service spoke about low stress cattle handling and its many benefits. John also gave a tour of his renovated cattle working facility and a chute side demonstration. For the field day portion of the event John gave a tour of his paddock system and discussed the benefits that he has received since its installation, such as reduced stress on himself and the livestock. Katelyn Cox, the grazing demo technician who has been working on the farm also spoke about her work collecting data and taking measurements, and how the project relates to soil health.